Dude, Seriously with this baby registry. Oh the Judgments Coming My Way. Ok, so I’m a thrifty shopper. I’m soooo, someone who looks for great deals. Unlike some people I know, who are the quantity over quality type, I’m big on quality. For this baby registry thing, I’ve been searching and searching – reading reviews, visiting Buy Buy Baby, Babies R Us, and my ABSOLUTE HANDS DOWN FAVORITE the one and only Amazon.com daily to read reviews and add to my registry. I know people like to go to stores to buy things, but ever since becoming an Amazon Prime member, I’m hooked on the great deals and awesome shipping. I’m a very satisfied Prime member (and get to take advantage of Amazon Mom, features). Although I’ve been using it greatly to research and register for baby (along with reviewing consumer reports, and parenting website suggestions including Lucie’s List, which has been super helpful), I have found that you can get pretty much everything from Amazon and it takes two seconds to click and send. Anywho, this Baby Registry thing is sort of exhausting. Don’t get me wrong, I love to shop and baby has a great deal of things already. I feel like I find myself thinking “what will my mom think when she sees I registered for this?” haha – Yes she still has that hold on me. But I also think of what others will think because not everything on my registry is reasonably priced. However, for the must-haves, I want what I want and will ultimately buy it myself. I guess this is my first lesson in becoming a parent. Every parent does things differently. Some may think, why does she do this, and why does she need that? 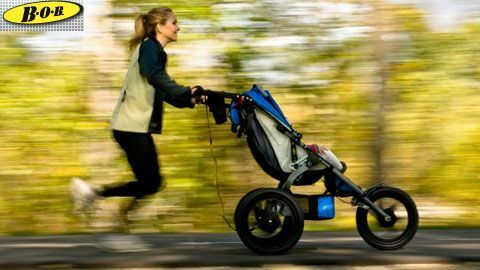 Seriously, why does she want a $450.00 jogging stroller? (well sometimes it is on sale for around $360-380). This is my example – I’ll tell you why – I’ve done the research and it is the best for what I want to use it for. It really is that simple. 1) It fits a child up to 70 lbs (thus a pretty long life) 2) It has an adjustable front wheel (swivel for easy maneuverability and stationary for jogging safety-did I mention I’m a runner?) 3) I personally know a few people who own it and they say it is worth it (ever hear you get what you pay for?) 4) most importantly, it is known for being well built, safe and I want it for my child<— really all that matters. My point of that is, I’ve done the research. I don’t need all organic cotton onsies and sleepers (I just really typically like the colors, lol) and I don’t need a thousand dollar Gucci Diaper Bag (would be kinda cool though, huh?) but when it comes to the safety of my child yes, I picked an expensive car seat and yes I picked an expensive convertible car seat but truth is, I did my homework and the reason it is on my registry (I really have two, Amazon and Buy Buy Baby) is because the thrifty person in me tells me “there is a competition discount” haha. Anyway back to my point (well sorta). I’m learning a few very important lessons, even in this process. 1) I cannot and will not, ever be able to please everyone (I shudder to think of all the time I’ve wasted in trying to do so for the past 20+ years, ah well); 2) I’m a parent and responsible for making my own decisions AND mistakes 3) I’m going to make a lot of wrong choices; and 4) I’m going to make a lot of right choices 🙂 – and the only judgment I need to care about is, my own. Did I make an educated decision? Did I make a mistake, but learn from it? Is my baby broken, if so do I know how to fix him? (lol, jk) but you get the point. I don’t need to justify the way I parent, which includes what I have on my registry, to anyone. With all that said, it is way easier said then done. I’ve noticed this pattern in other things in my life for some time now, but this time, I’ll really break down if I worry about what everyone else thinks! Every day, I learn something new. Being pregnant has really begun to open my eyes to a whole new world, one I am NOT even remotely in complete control of… haha good luck to me… Ask anyone, control is sorta my thing. Do you have any suggestions on must-haves for a first time mom? I know all babies are different, but what did you splurge on? What would you have passed on? I hope there are lots of people that feel the way you do, in my life 🙂 lol – Thanks for the sweet comment! I think you should register for whatever the heck you want. It is just a registry. Some people will purchase off of it. Some will not. It is just a suggestion list to any people who want to give you two and the baby a gift. So go ahead, fill it with things you love until your heart is content!